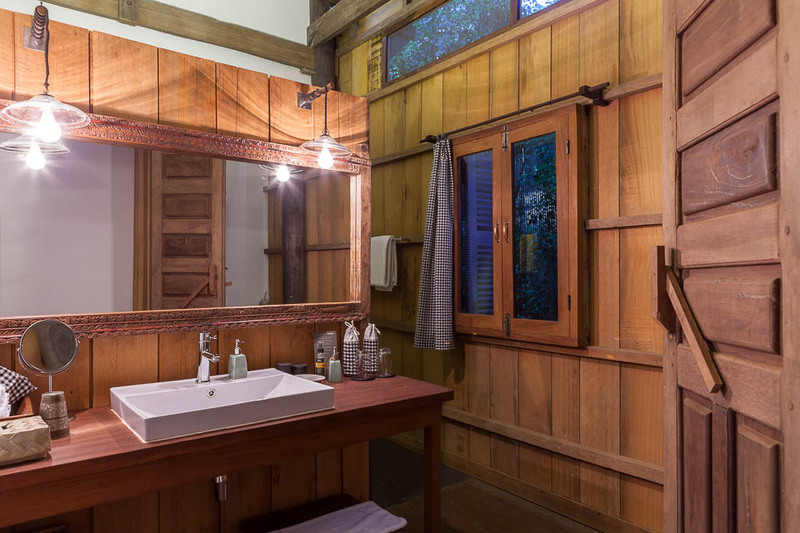 Sala Lodges is more than a hotel, offering its guests a unique, authentic experience. 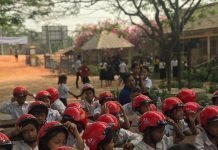 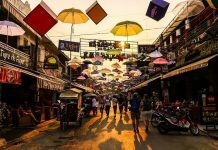 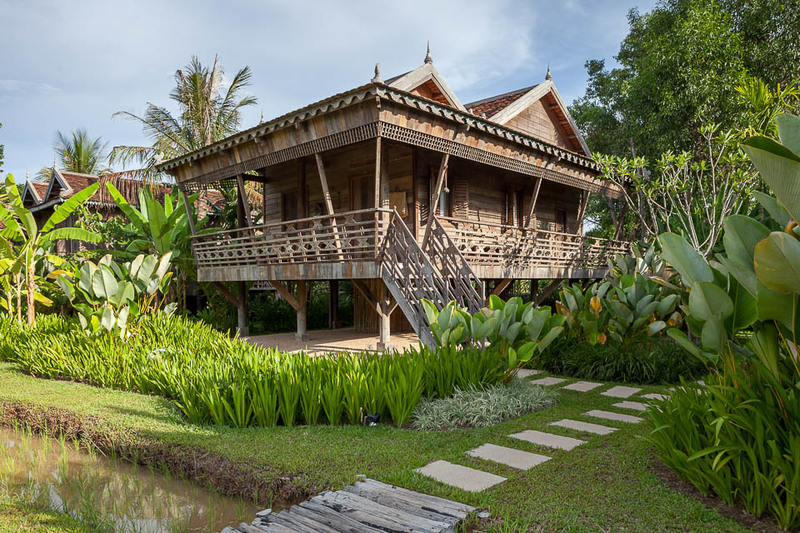 The eleven traditional wooden houses on stilts in this “idyllic village” situated 8 km from the architectural site of Angkor, contribute to the preservation of an architectural heritage, which is threatened with extinction. 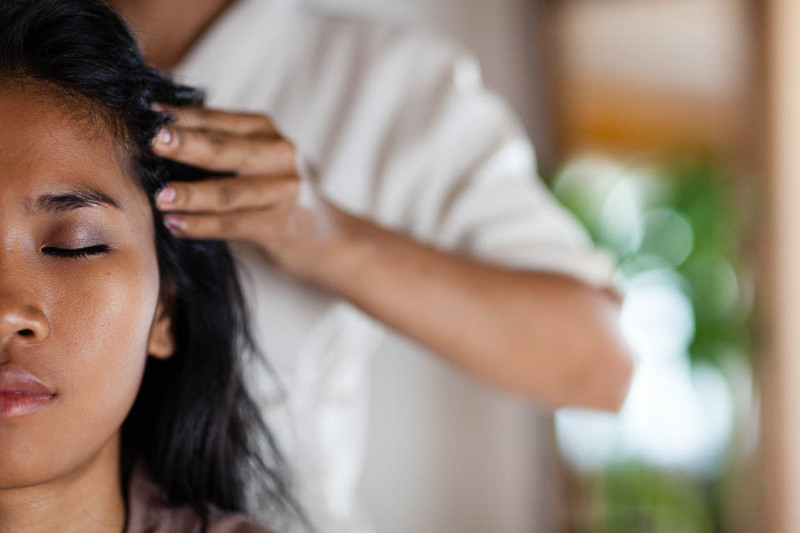 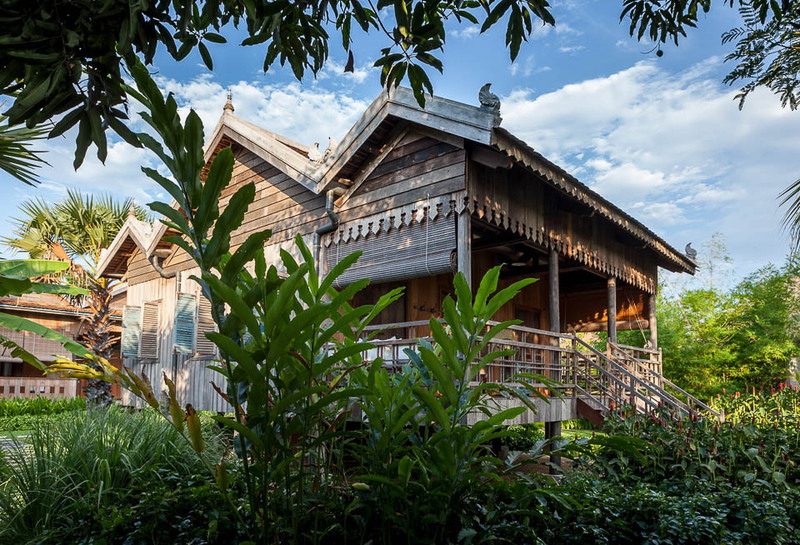 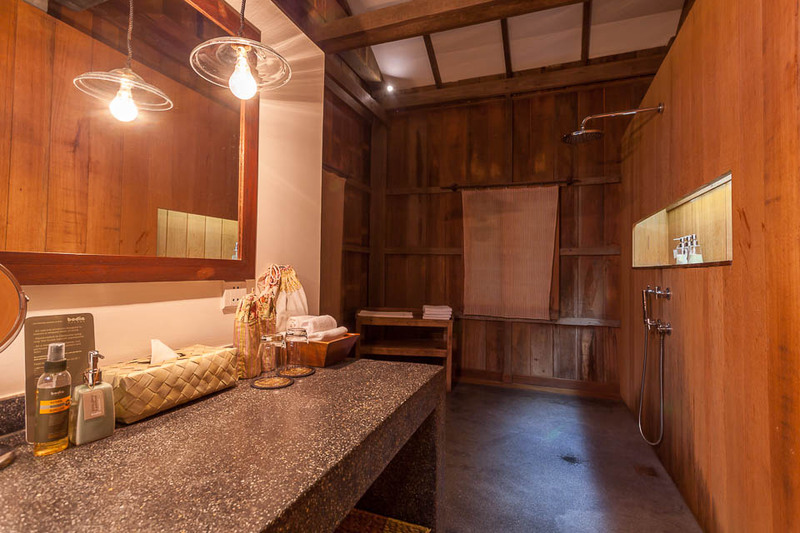 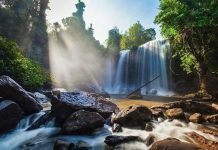 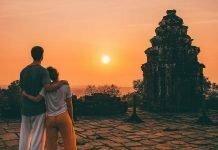 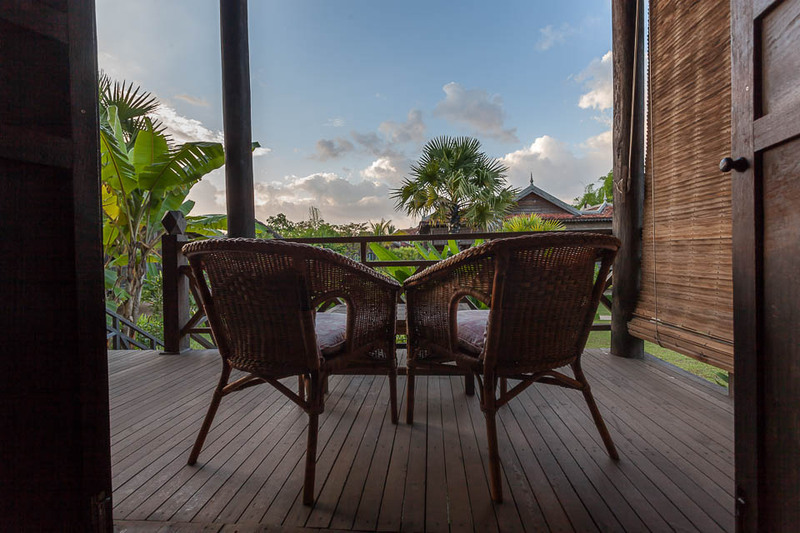 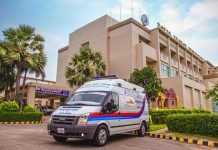 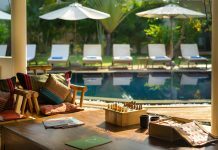 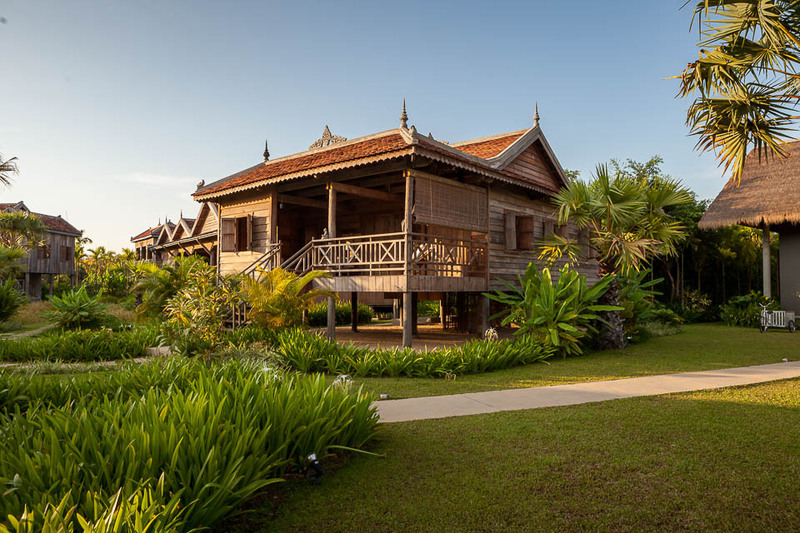 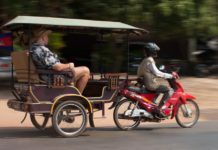 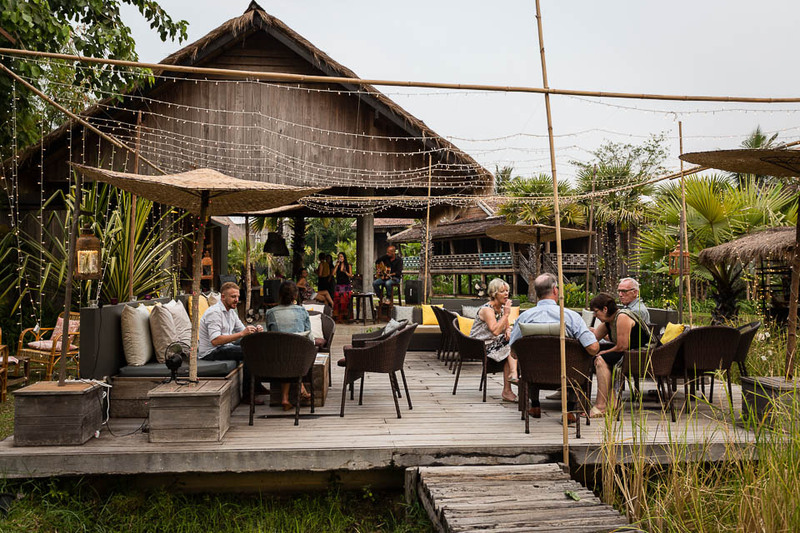 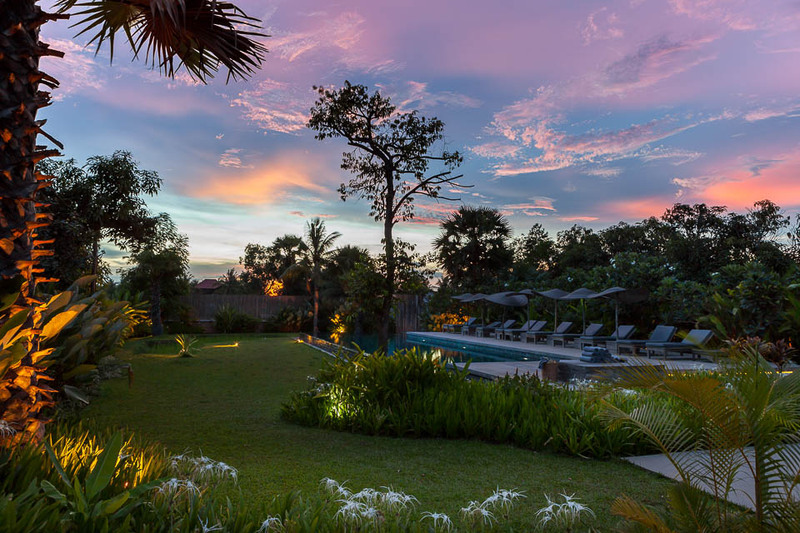 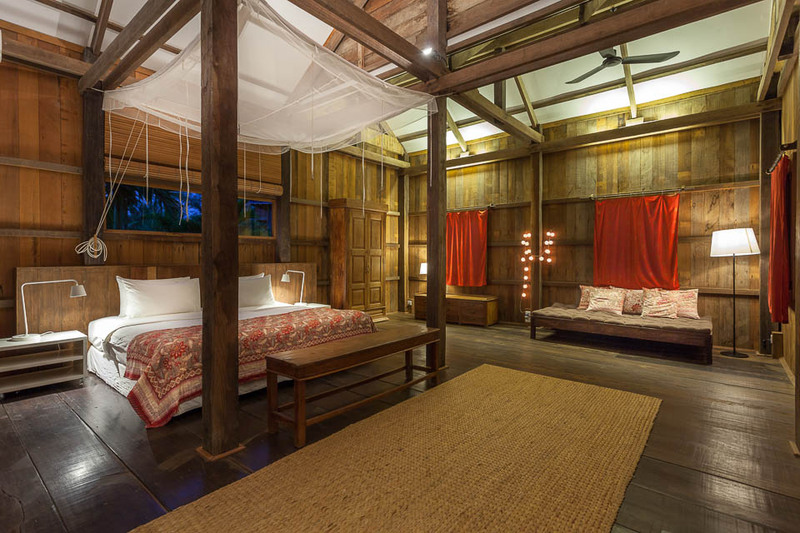 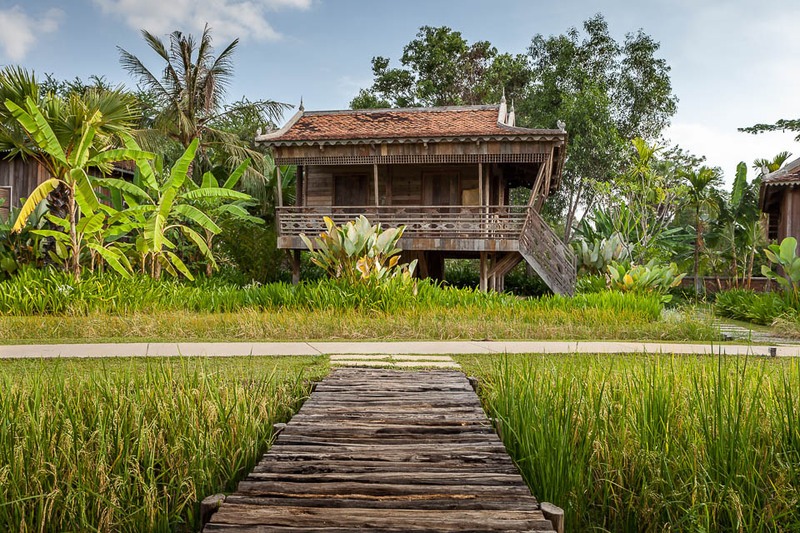 By choosing existing Khmer houses to conserve their aged luster, the founders of Sala Lodges allow you to delve into a genuine Cambodian world. 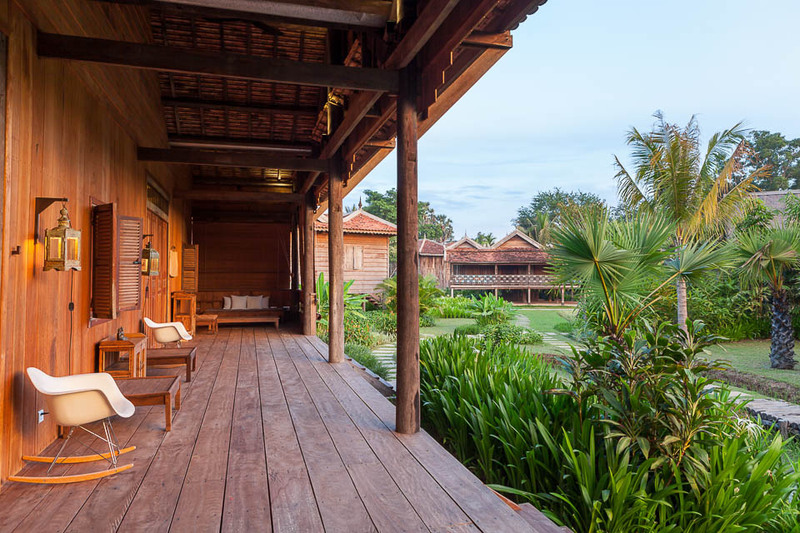 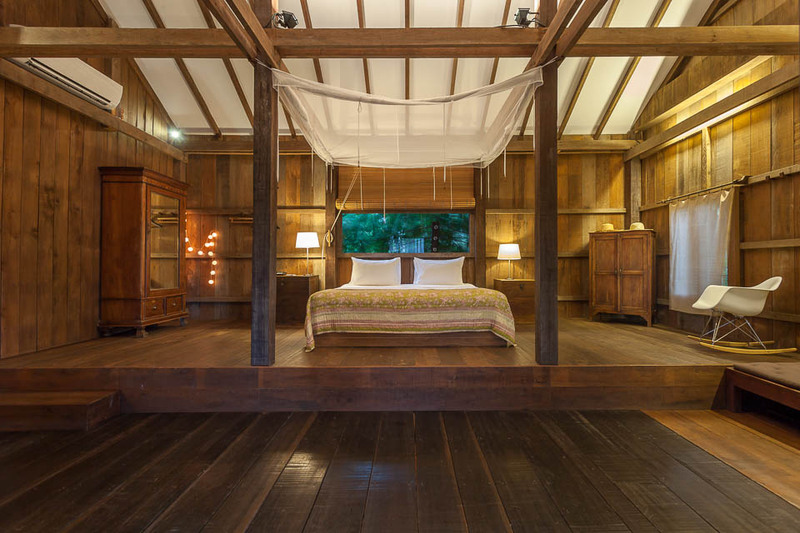 Discovered in the Cambodian countryside, dismantled, transported and restored, the houses at Sala Lodges all have individual histories and architecture. 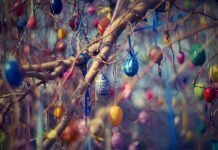 The oldest date from the late 1950s. 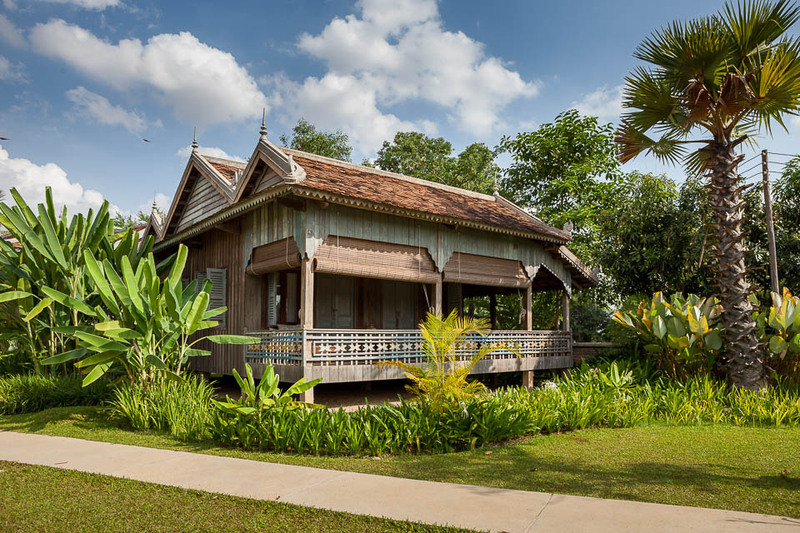 While the exterior has been carefully conserved, the interiors have been carefully converted to meet the exacting standards of guests. 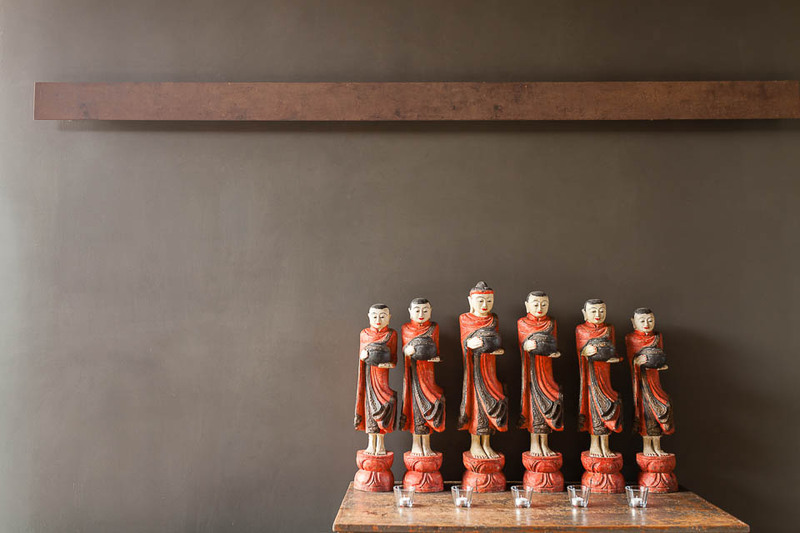 Subtly decorated with local artisanal touches, each house reveals a pure and refined interior. 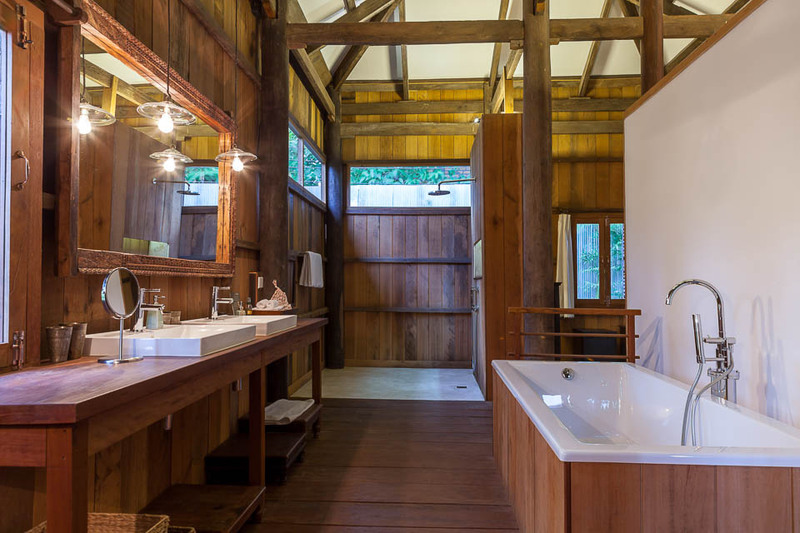 Sala Lodges makes simplicity an absolute luxury. 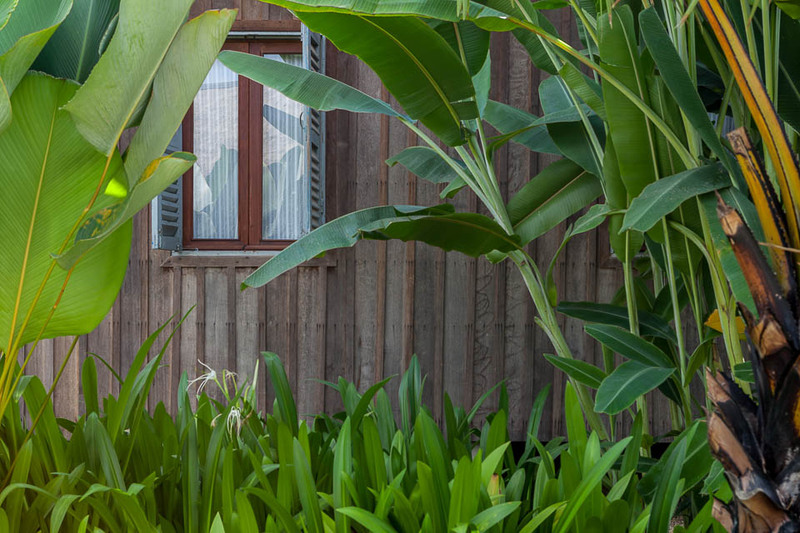 The communal areas provide clean, contemporary lines and are in direct contrast with the traditional houses. 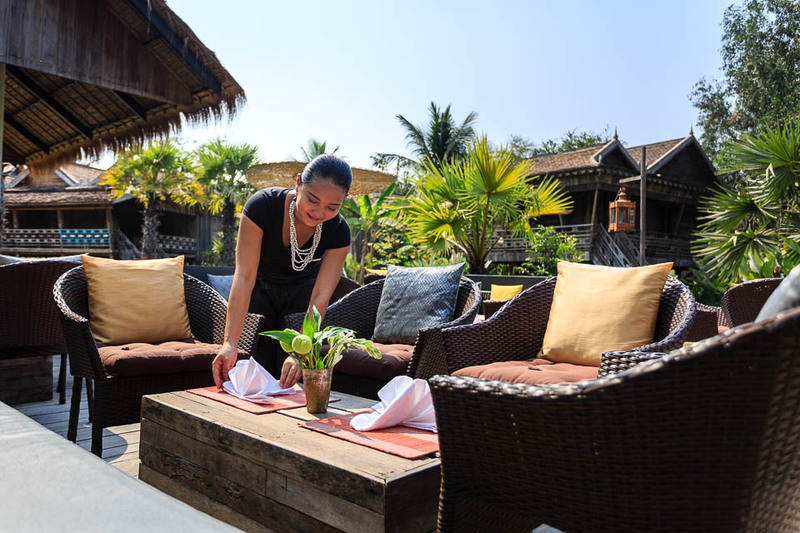 The restaurant and bar situated at the entrance, the table d’hote and open air lounge in the heart of the « village »and finally, the infinity pool which looks toward the sunset are all places to meet up and chat. 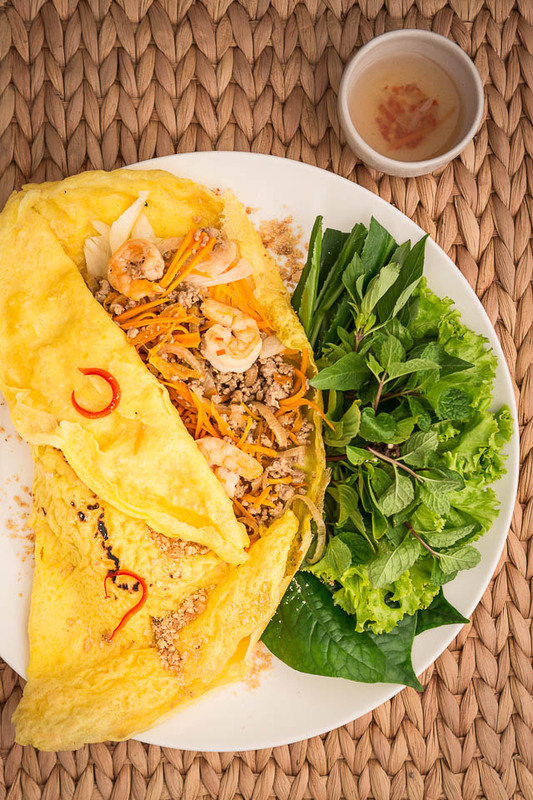 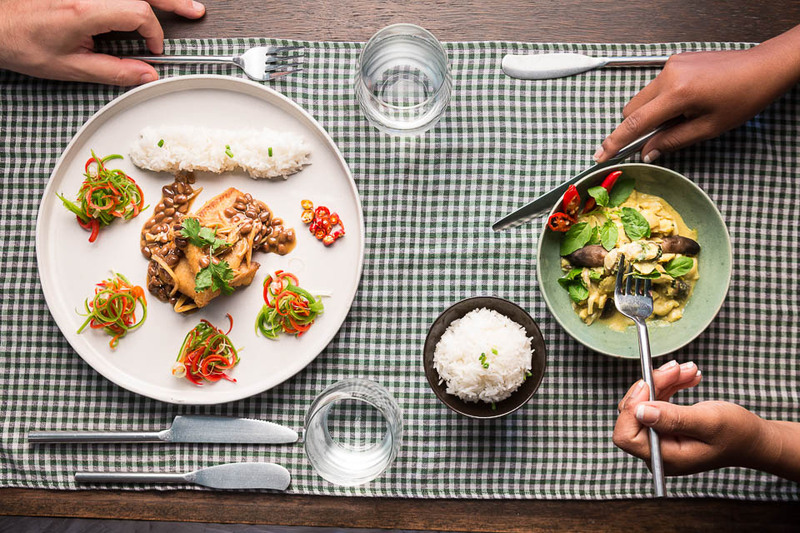 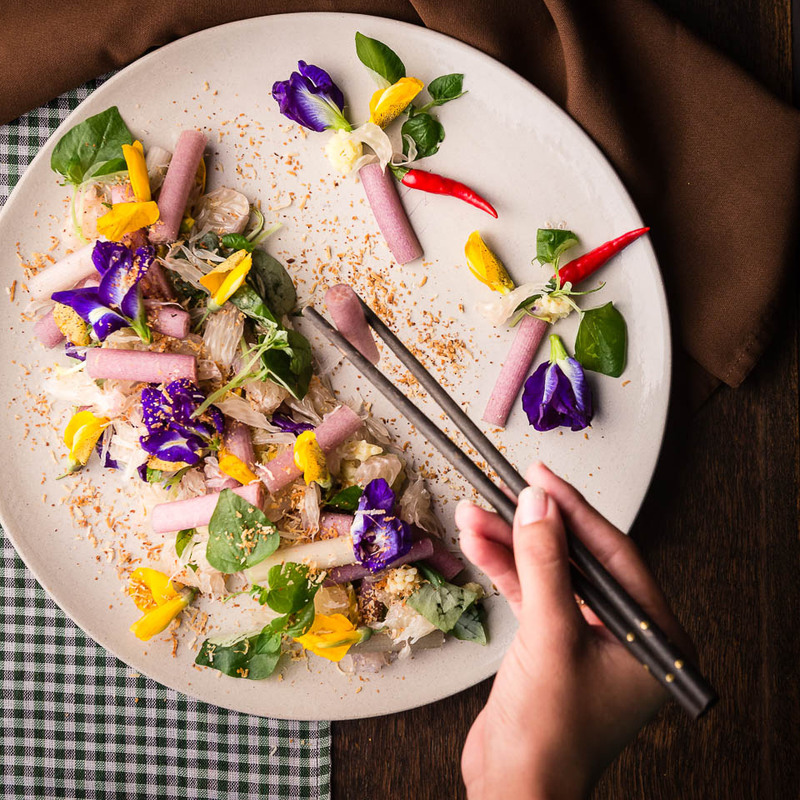 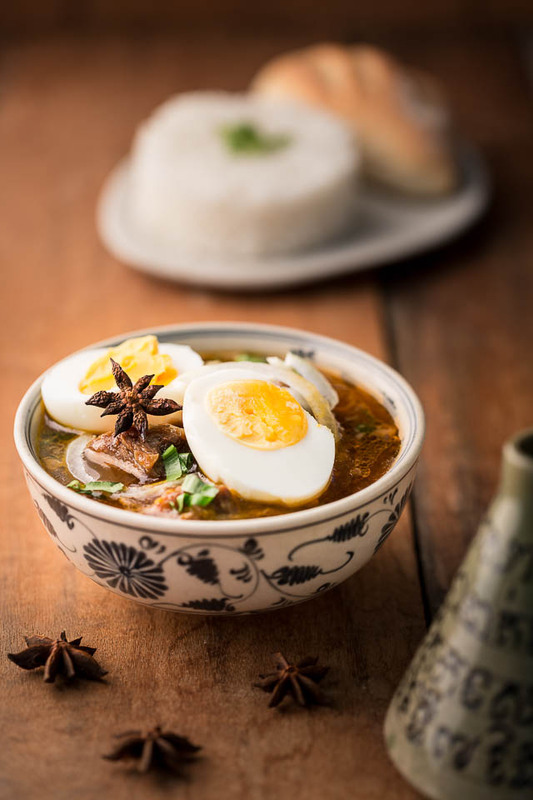 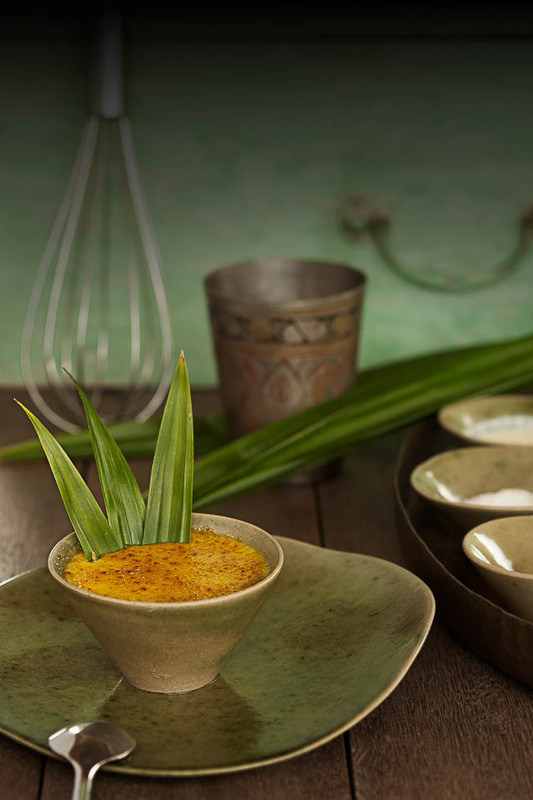 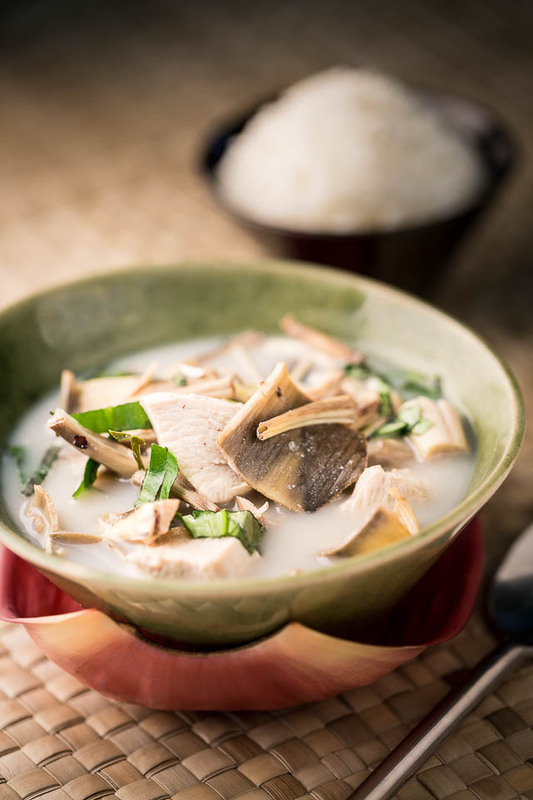 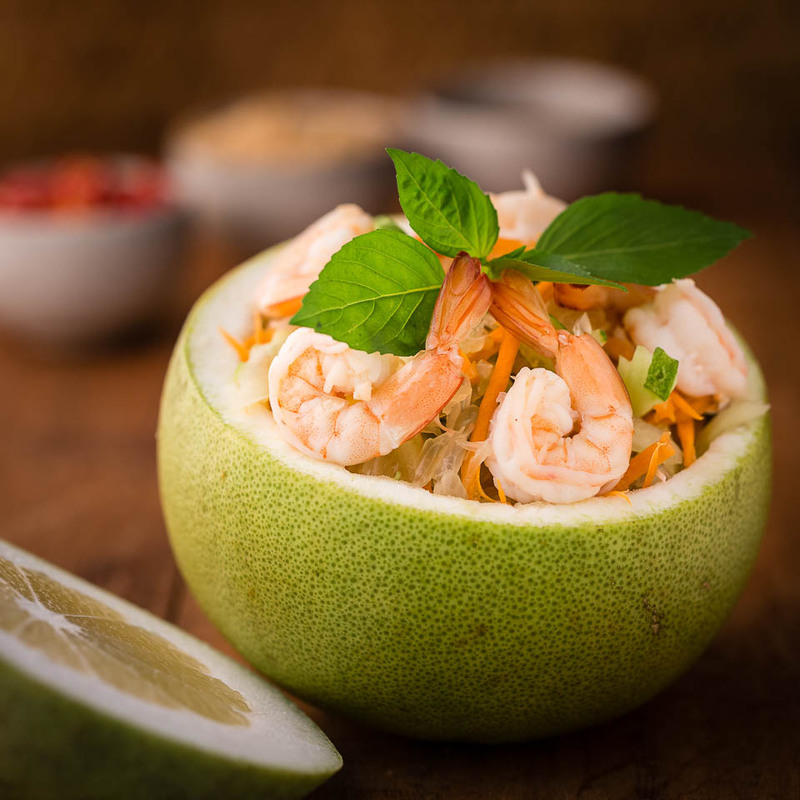 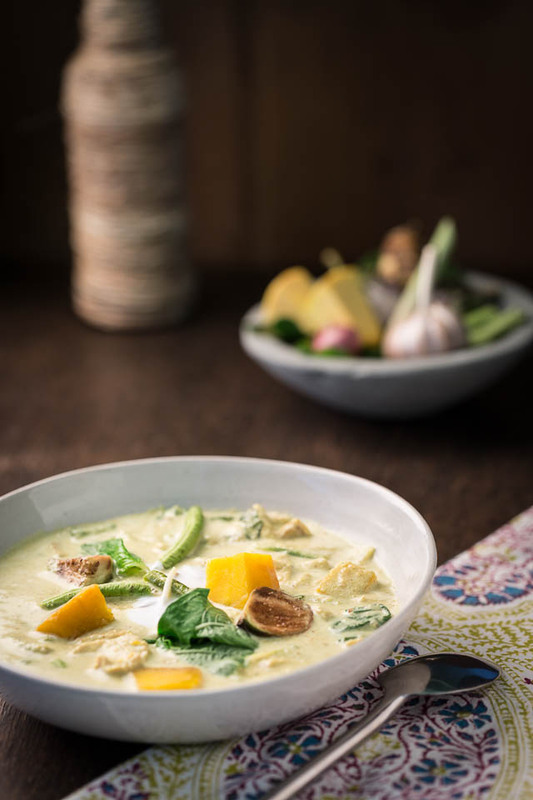 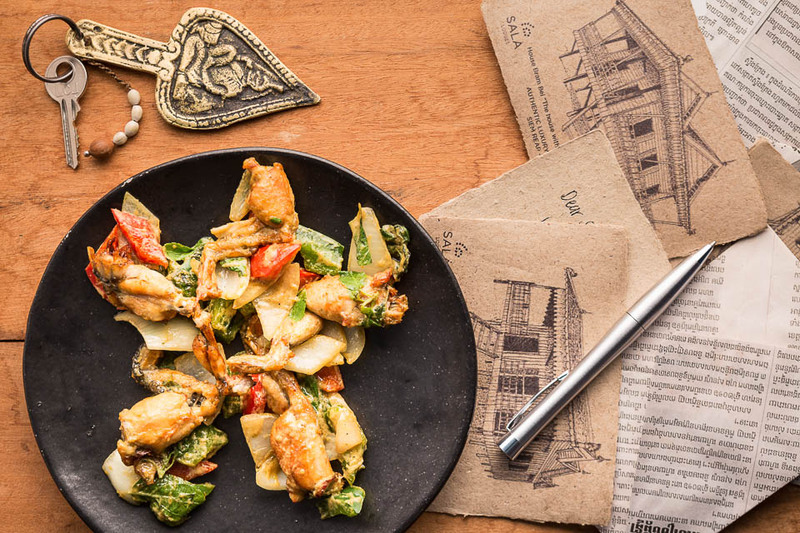 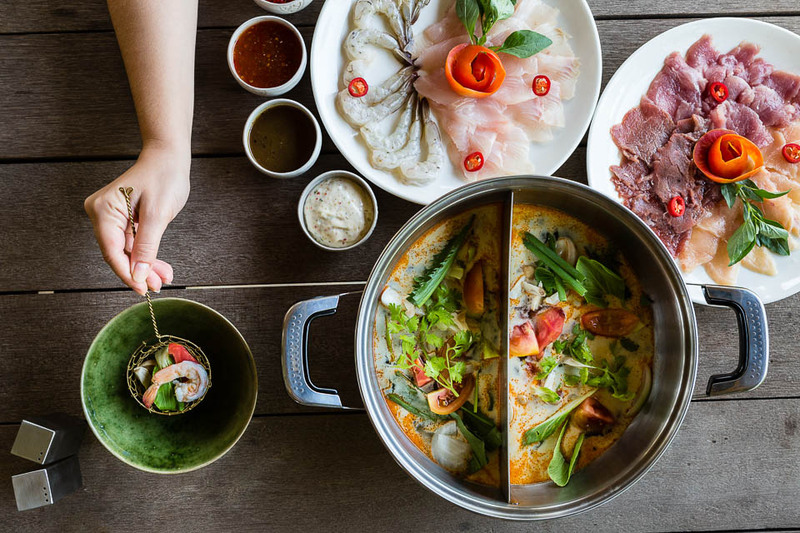 The chef and his team have crerated dishes from the best of Cambodian cuisine. 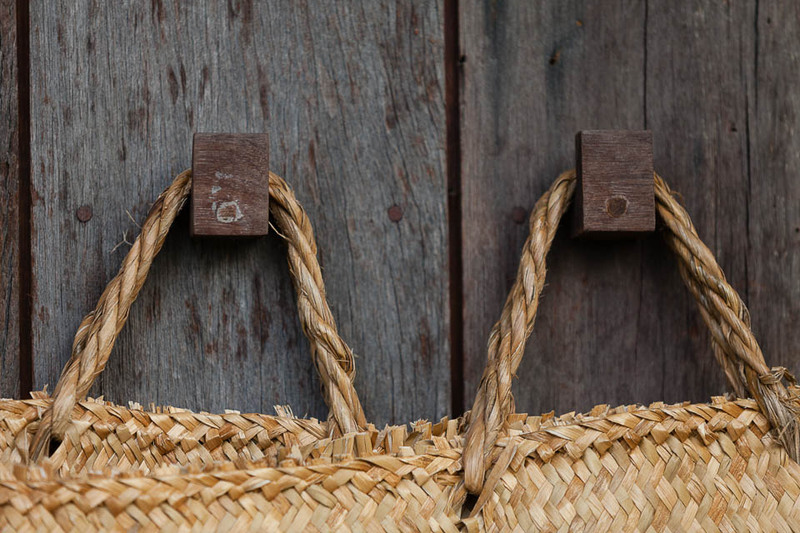 Each morning, they wander through the local markets to select the best produce. 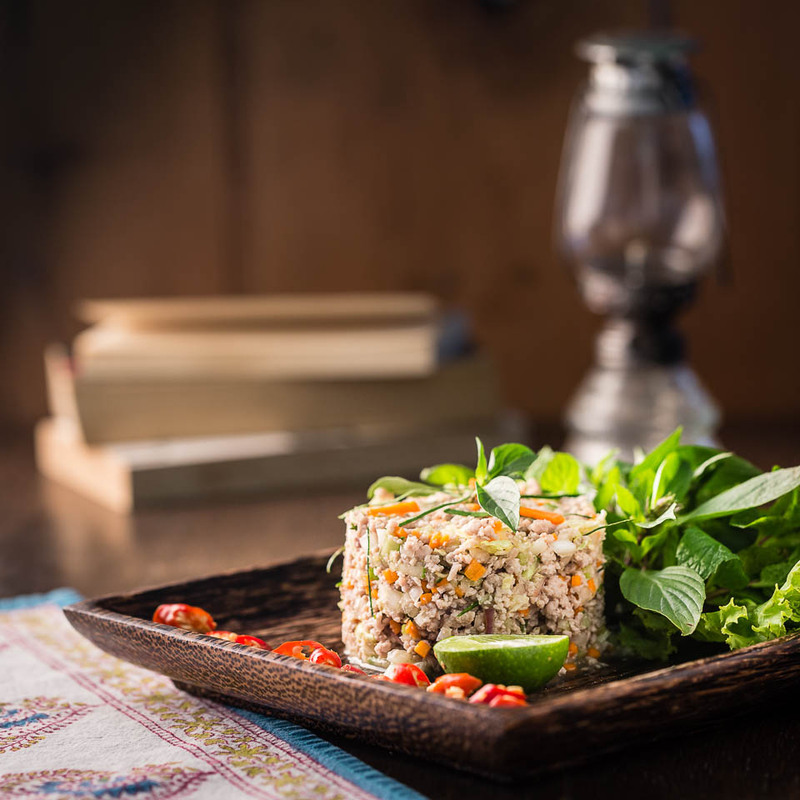 Seasonal fruits, vegetables and plants from our garden surrounding the houses are to be found at the heart of the dishes.Throughout the day, a variety of delicious tapas and snacks keeps hunger at bay. 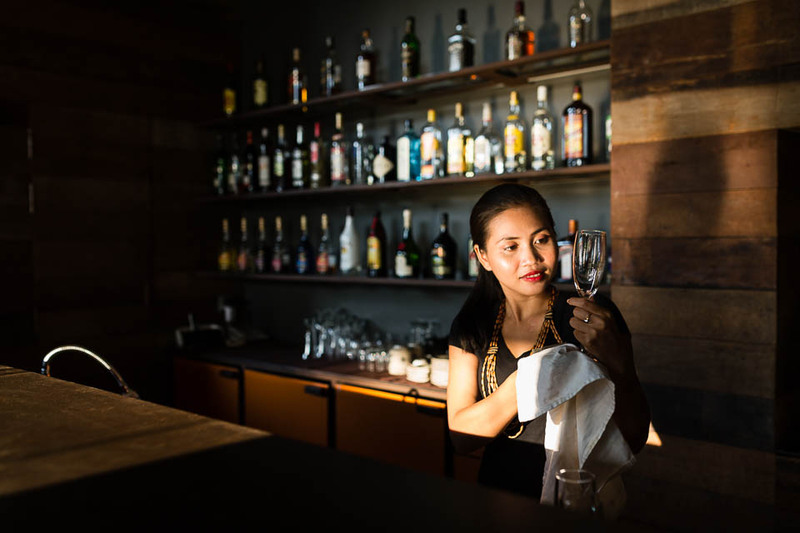 Our guests are able to choose a wine from our international wine list to complement the dishes. 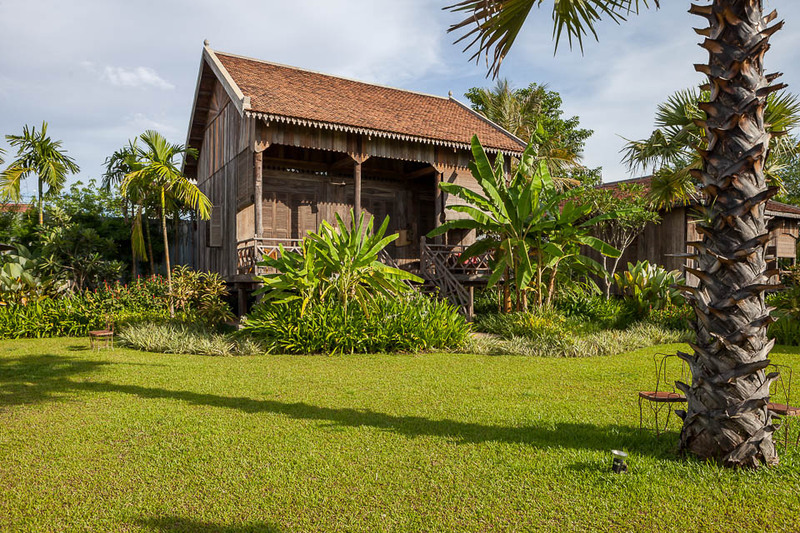 The garden plunges visitors into the heart of the Cambodian countryside with sugar palms, rice paddies, banana trees and betel palm. 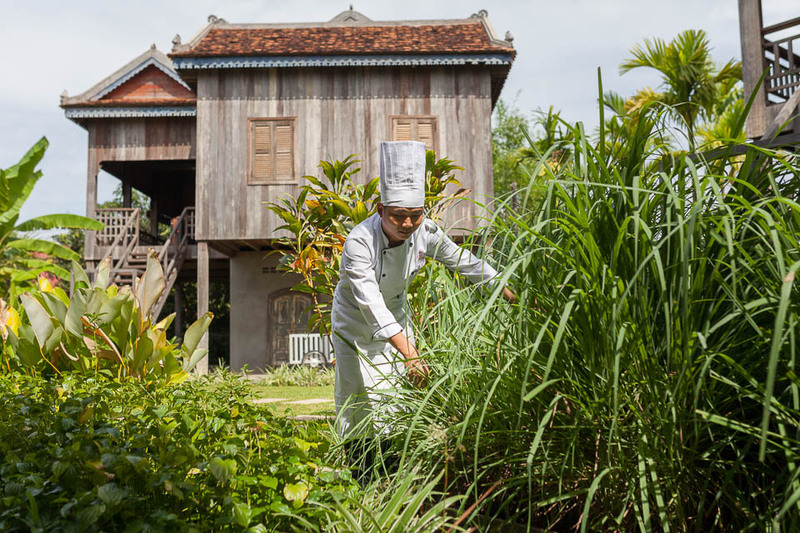 The luxuriant botanical path allows you to smell, harvest and taste the flavours of the region. 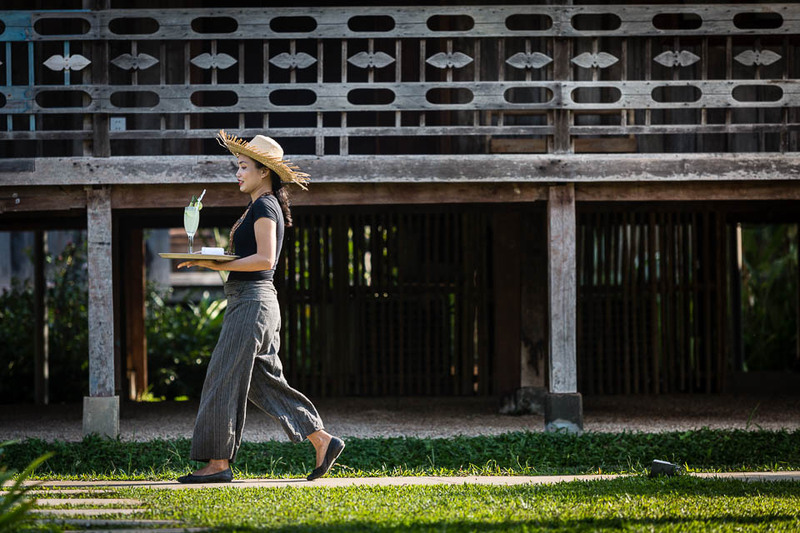 In season, residents are able to help with the harvesting and sowing of the rice.